This isn’t remotely tech-related, but it’s definitely Retro. I found this on YouTube recently and have to say I love it! Quite apart from the musicianship, look out for Pat Metheny displaying his usual facial contortions, and Lyle Mays looking for all the world like the carny from Despicable Me! Sadly the DVD this was ripped from (More Travels) isn’t easy to get hold of now. Since my last post I’ve been continuing to work on the ZPU small core, adding hardware implementations of the optional instructions while trying to keep the core as small as possible. Certain instructions are closely related enough that once one is implemented the others come almost for free. Sub, Eq, Neq, Lessthan and Lessthanorequal come under that category. I’ve been playing some more with the small version of the ZPU core, and have successfully integrated it into a cut-down version of my previous MiniSOC project. The “official” small core only supports BlockRAM access, with external access reserved for IO. I’ve reversed this so that only the stack is in the CPU core’s internal BlockRAM, and program data comes from external RAM. In addition, I’ve added optional hardware implementations of a few of the emulated instructions, namely mult (the Cyclone II has hardware multipliers, so why not use them? ), eq, eqbranch and neqbranch. I think I can add the comparison instructions without bloating the core too much, as well. 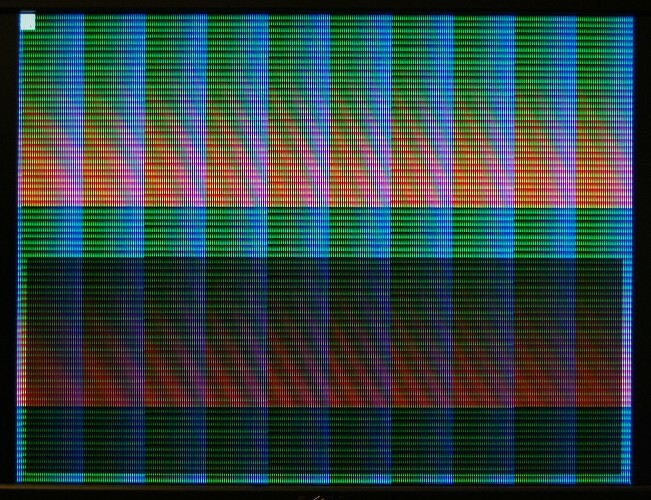 By way of a benchmark, I’ve written a simple framebuffer test which simply writes a pattern of ascending longwords into the framebuffer. With the optional instructions disabled, this achieves about 1.9 frames per second, and the CPU takes up 621 logic elements. With eq and eqbranch/neqbranch in hardware, the frame rate goes up to about 5.25, and the core takes 781 logic elements. There’s lots still to do – reading from SDRAM is untested, and writes are currently always 32-bit – but the project is available here (currently DE1 toplevel only) for anyone who might be interested. In my last post I outlined a very simple test program written in C and showed the ZPU assembly language that the ZPU GCC toolchain creates. Let’s take a closer look at the program and see what’s going on. There are various FPGA projects which could benefit from the existence of a really small CPU core to handle things like loading ROMs from SD card. 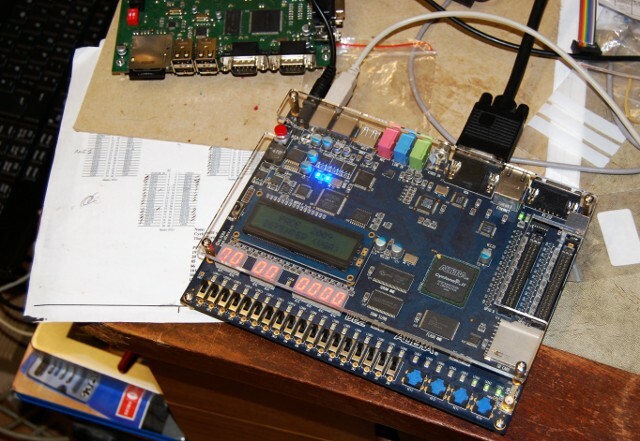 The Minimig project either uses an external microcontroller (For the original Minimig and now also the MIST board), or throws in a second fully-fledged CPU into the FPGA itself. This is either a second instance of the TG68, or in the case of Chaos’s DE1 port, an OpenRisc CPU. When I first added the Turbo ChipRAM feature to the Minimig core, there were suprisingly few unpleasant side-effects. However, one side-effect did become apparent when I added the Two-way CPU cache. On a real Amiga, it’s possible for the CPU’s bus and the chipset’s bus to operate independently, so if Fast RAM is available, the CPU can conduct a FastRAM operation at the same time as the chipset is reading or writing from Chip RAM. On the TG68-based Minimig variants, there’s only one type of RAM available – SDRAM, and no matter how they’re handled, Chip RAM and Fast RAM accesses ultimately all end up in the same RAM chip. Chip RAM accesses are coordinated by the Minimig’s chipset emulation, while Fast RAM accesses use a different port in the SDRAM controller and bypass the Minimig chipset emulation entirely, which is much faster. This is the key to my “Turbo ChipRAM” option – which basically allows Chip RAM to be accessed through the SDRAM controller’s Fast RAM port. The problem is that the Fast RAM port is cached, so if the chipset writes to a piece of Chip RAM which happens to be in the cache, the cached data becomes stale, and next time the CPU reads that address it received the stale data, not the newly-written data. The solution to this is to perform Bus Snooping. The CPU cache needs to monitor the SDRAM controller’s Chip RAM port, watching for writes, and any time it sees a write to an address that’s in cache, it must either update or flush the cached data. I’ve taken the easier but slower option here, simply marking the data as invalid, forcing it to be re-read from SDRAM next time the CPU wants to access it. There’s scope to improve performance by updating the cached data and leaving it marked as valid. The cost for this would simply be the extra logic elements needed to store the written data temporarily and write it to the cache. Source for the Two-way cache with Bus Snooping can be found here – and I’ll try and release a new version of the Chamemleon core in the near future with this change included. Anyone remember CU Amiga Magazine’s “ProjectXG”? This was a DIY project they ran, based on a hack that was published on Aminet, to interface a Waveblaster MIDI daughterboard to the Amiga’s serial port, to provide a pretty good quality MIDI tone module. The DB50XG’s successor, the DB60XG was manufactured under license by NEC as the XR385, and this seems to be the easiest such card to find these days. It’s very similar to the DB50XG, it just has some very subtly different voicing, and can apply its DSP effects to incoming audio as well as its own sounds. Having built a ProjectXG many years ago, then selling it a year or so back and promptly building another one, I naturally wanted to interface a Waveblaster card to one of my Minimig variants, and listen to some old MIDI files again. A few days ago I scored an Altera DE2 dev board on EBay for £90. It’s the lower-end model with “only” 35,000 logic elements in the FPGA, but still a worthy addition to the collection. My first steps down the road that led me here were nearly two years ago now. I brought my old Amiga stuff down from the loft with a view to selling it, since I hadn’t touched it in years. I had an A4000/030 (my pride and joy when I was 17! ), an A600 that I’d inherited as payment-in-kind for some programming work, and an A1200 with 50Mhz ‘030 that I’d bought from a friend and then promptly mothballed. In my defense, I *did* sell the A600. However, since discovering how active the Retro scene is, and becoming interested in the FPGA recreations of retro systems, I’ve somehow managed to acquire the following cool but ultimately pointless toys! 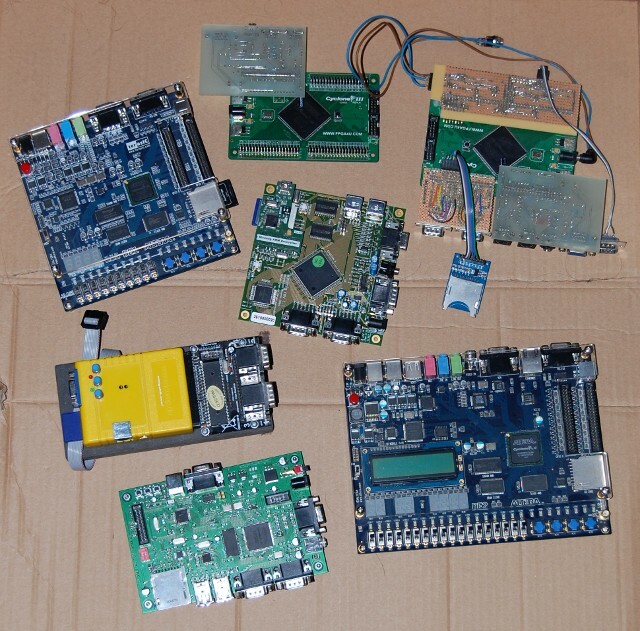 And far too many FPGA boards, all capable of running a Minimig core of one type or another! 2 barebones Cyclone 3 dev boards from EBay, Frankensteined out with my custom-built IO boards. So… I think I can safely call this particular de-cluttering exercise a dismal failure!